Brand new 205/60R16" all season radials, 600 bucks a set, or 700 on your wheels and Balanced. and taxs extra. Sold out, again. We can get more. PRE PAID orders only, 3 day turn around. 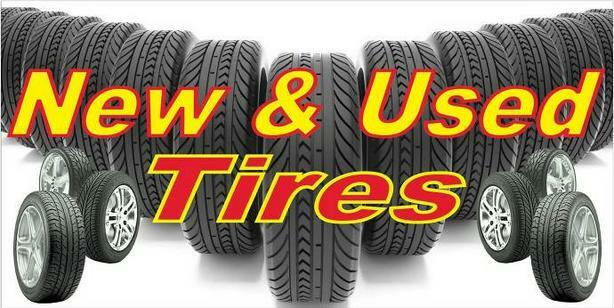 Many other sizes available in new as well as good used tires. Call us for a quote on your Tire Requirements. Mon-Fri 8-6, Sat 10-4 . We accept Cash, Debit Cards and all Major Credit Cards Too. We will look at Trades as well.